Through the transformative practice of 5Rhythms, we will bring kindness and compassion into the cracks and wounds of our humanness. 5Rhythms is a path of integration, of healing the split between spirit and body - a path of dancing ourselves back into wholeness. Each Rhythm offers us tangible tools to bring body, heart, mind, soul and spirit into alignment. Through storytelling and witnessing, we will honour the stories we each hold that have created separation, doubt and our own version of the “beast within”. 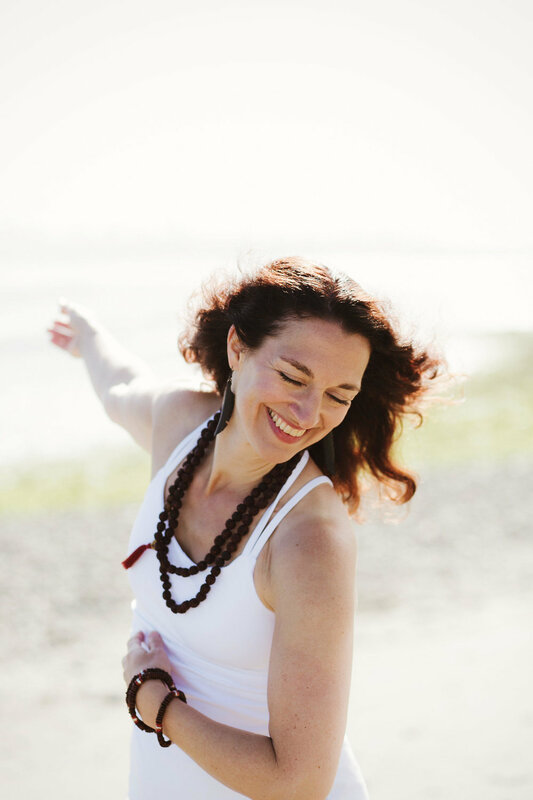 Embodied voice and breathwork will guide us in reshaping our voice to find its most natural, fluid and powerful form, so that we can speak our truth and share our message with clarity and strength. Yoga will integrate the enlivening flow of vinyasa to vitalize the body, with reflective inquiry into conscious breath and yoga therapy to refine awareness and establish presence. Attuning to practice with an attitude of reverence and curiosity, we leave the mat lighter than when we arrived and learn to live with a relaxed resilience. Land and community based teachings will be shared by the women of Stowel Lake Farm. Together we will step through the gateway to becoming the embodied, feminine, intuitive, powerful beings we are meant to be. Everyone is welcome who identifies as a SHE.